When it comes to watching your favorite television shows, satellite is one of the cheapest and popular options. In fact, in many places where cable is unavailable, such as rural areas, satellite is the only way to get access to your favorite television shows and channels. Even if you have access to cable, you may still prefer to have satellite service due to generally lower costs. 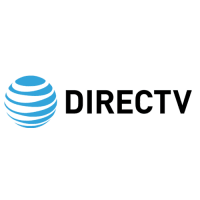 Below we will provide a brief overview of what satellite services are, how much they cost, and how they compare to cable and digital streaming TV. Satellite television relies, unsurprisingly, on satellites that orbit the Earth. Specifically, these satellites communicate with an antenna, called a satellite dish, that is installed on the roof or outside wall of your property. In order to be able to communicate with the satellite, the dish must be facing south, which can be a problem for those living in apartment buildings without a south-facing wall. After your dish receives the signal from the satellite, that signal is decoded by a receiver, which is either built into your television or which is a stand-alone set-top box. This gives you access to hundreds of channels that you can watch on your television. Satellite Services are very affordable and are almost always cheaper than cable in areas where both services are available. The cheapest packages for satellite TV generally start at around $40 to $50 per month and increase if you want access to premium and HD channels. Furthermore, satellite generally comes with more channels than cable does, which means that you usually pay less per channel than you would with cable. However, there are a couple of drawbacks in terms of pricing. The biggest is contract terms. Almost every satellite TV provider requires you to sign up for at least a one-year contract. Furthermore, you will need to have your satellite dish installed by a professional. Installation fees are sometimes waived if you commit to a longer-term contract, but they are often extra for shorter contracts. The length of contracts means you could be stuck with a satellite TV provider well after you’ve moved to an area where you can get cable or streaming TV more easily or for less. Also, keep in mind that satellite TV isn’t bundled with other services as often as cable is. This can be a benefit or a drawback depending on your needs since bundled options can be frustrating and complicated, but potentially also represent overall cost savings if you actually use all the bundled services. As mentioned above, satellite TV is almost always cheaper than cable. Furthermore, satellite TV is available pretty much everywhere so long as you have a place on your property where a south-facing satellite dish can be installed. Cable, on the other hand, is generally not available in rural areas. That being said, cable TV offers some significant advantages over satellite services. For one, you can much more easily get a month-to-month contract with cable, meaning you can cancel or change your service with a cable provider more easily than you could with satellite. Cable also doesn’t require the installation of what most would consider unsightly satellite dishes on the side of your home and the installation process itself is much quicker and easier. Cable is also the preferred option if you want local HD channels, whereas satellite is better for providing national HD channels. Finally, cable is the far more reliable option, whereas bad weather can easily cause you to lose your satellite signal. In terms of customer service and the quality of channels that are available, however, both cable and satellite TV are about equal. Some popular cable TV providers are Cox, Time Warner, and Comcast. In the not-so-distant past, your only options when it came to watching your favorite shows was between cable and satellite. However, nowadays it is also important to point out that you have a third option: streaming TV. Streaming services, such as Netflix, Amazon Prime, and Hulu Plus, have led many people to end their cable or satellite subscriptions in recent years. What digital streaming offers over both cable and satellite is pricing and flexibility. Most streaming services can be had for about $10 per month or less, well below even the most basic satellite or cable TV package. Furthermore, there are no contracts with streaming services, so you can just cancel your service whenever you like without worrying about cancellation fees. Billing is also very straightforward and you won’t have to worry about any hidden charges. Finally, so long as you have an internet connection and a computer, there’s no installation process. You just sign up and you’re ready to watch. On the downside, you won’t get nearly as many shows or channels with streaming services as you will with cable or satellite services. In fact, many streaming services, like Netflix, don’t really offer channels at all. Instead, you just choose the shows or movies you want to watch when you want to watch them. While that’s great for flexibility, it may mean that some of your favorite television network shows won’t be available for viewing.